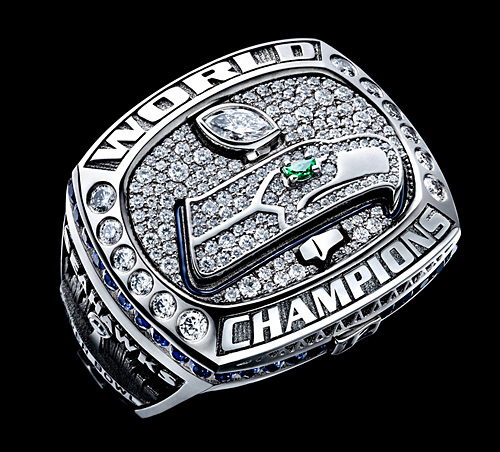 Despite is relatively small size, the design of the Seahawks’ 14-karat gold ring contained 104 diamonds, 40 blue sapphires and a neon-green tsavorite that represented the Seahawk symbol’s eye. The super-sized Patriots’ ring commemorating the team’s third Super Bowl was also designed in 14-karat gold and featured 124 diamonds with a total weight was 4.94 carats. The NFL awards 150 rings to the Super Bowl victor and spends approximately $7,000 per ring. Teams that have won multiple Super Bowls, as will be the case with Seahawks and Patriots, are allotted a higher budget for diamonds. 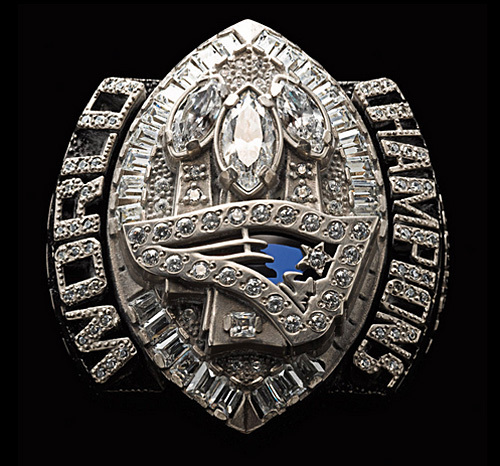 Ring designs typically use larger marquise-shape diamonds to represent footballs, and each football represents a championship.